Urban Trial Freestyle for Nintendo 3DS, published by Tate Multimedia S.A. was developed by Strangelands using proprietary, in-house technologies. Real-time physical simulation powers the player’s trial bike, rider and an interactive decor full of challenges, displayed in glorious, full stereoscopic 3D. Perform 5 types of stunt and try to reach the top of the online leader-boards or race against the recorded ghost of the fastest rider. Take a photo of yourself with the 3DS Camera and have it posted on billboards wherever you post the best score. Strangelands has also provided the opportunity to build your own tracks via a built in track editor that takes advantage of the handheld’s tactile screen. Build your own track to test yourself and challenge your friends. 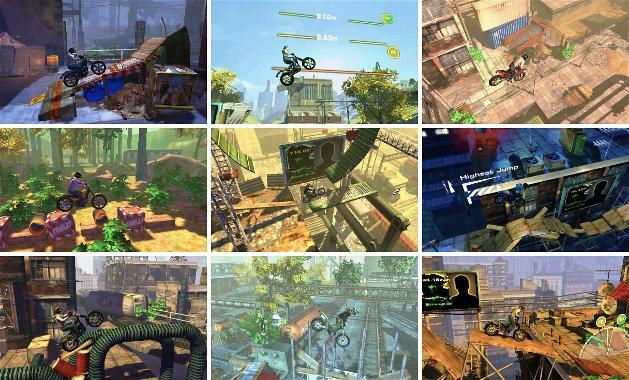 Versions of Urban Trial Freestyle are also under development by Strangelands for Android and iOS. Nintendo, Nintendo 3DS, the Nintendo 3DS Logo and the Nintendo eShop Logo are trademarks of Nintendo. © 2006 Nintendo.